Michael Mizrachi certainly knows a thing or two about winning poker tournaments, but quite what he knows about hosting them isn't clear. Fortunately, for those that are into Bitcoin, Mizrachi will be showing exactly how he handles MTTs as well as cash games and SNGs with the launch of his new poker site: GetLuckyPoker.com. 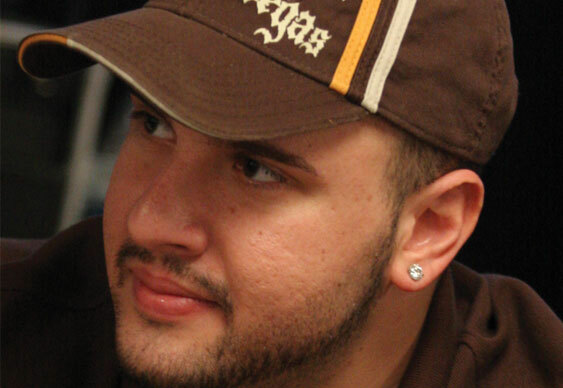 In a recent interview with British Poker Awards panel member Lee Davy for CalvinAyre.com, Mizrachi explained that after years of winning WPT and WSOP titles, he now wants to "make his own luck" by launching his own online poker site. The new venture will sit alongside his online dealer training school and host a range of games, including Badeci, Badugi and Deuce to Seven. Although the project is still a work in progress, one of the main things to stands out is the use of Bitcoin. Over the last few months a number of platforms offering Bitcoin poker have sprung up. Aside from tapping into new markets (Bitcoin users), these cryptocurrency sites appear to fall outside of the usual gambling laws that restrict traditional operators in countries such as the US. Of course, the exact legality of Bitcoin poker sites has yet to be fully tested. However, away from any potential legal troubles, it seems as though players are beginning to warm to the new portals. Quite how Mizrachi's platform will perform remains to be seen, but with the likes of Mike Matusow onboard, it's likely he'll be able to generate a healthy amount of publicity when it goes fully live in January.